This text uses a multidisciplinary approach, drawing on sociology, history, psychology, and other social sciences to focus on the factors that contribute to the merger or separation of different racial and ethnic groups in the U.S. 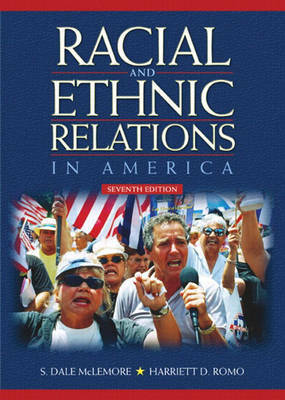 The authors present historical information and contemporary examples of the largest ethnic and minority groups in the United States. They analyze the strengths and weaknesses of the assimilation model in explaining how various racial and ethnic groups have been incorporated (or not) into U.S. society. Focusing on interracial and interethnic relations in the U.S., McLemore and Romo give a sociological analysis of intergroup processes and the history of the interactions of racial and ethnic groups. Organized thematically rather than chronologically, the text illuminates the main racial and ethnic dilemmas faced in America.